I love to type my thoughts out. I started blogging in 2011 and it wasn’t about who would read it. It was that I had these opinions and ideas that no one else was saying or sharing. Nobody wanted to address the lack of real information in the SLP graduate school world. It was all coming from one place – ASHA. While they certainly have their place and roll, that is by no means enough. Myself, Hanna B. SLP, and OliviaSLP were the only SLP students blogging. People are searching, grasping for lines of truth from others who experience the same exasperation. I was fed up with not finding, and decided to share my own opinions. Who knew, 3 years later I’d have near 200,000 views and daily emails full of people wanting answers. I gladly answer each and every email, which lately, I’ve been receiving at least one every day. The response profoundly spoke to me in a way that I can’t describe. I never imagined people would respond the way they have. Readers contact me and comment that something I wrote or responded with in an e-mail inspired them. I often feel the exact opposite when I write a post – like I’m going to scare people away from pursuing SLP. But it seems most people find my ramblings and opinions helpful. I’ll take that. If you’ve ever searched for answers in our field and came up empty, maybe you should start your own blog to share what you find or experience. The first 6 months of my blog, I had less than 100 views. Don’t worry about that. The right person will read your blog and find it helpful or relatable. If it helps you, then it’s worth it. “I went to my mother who gave me this book called Letters To A Young Poet by Rainer Maria Rilke…A fellow used to write to him and say: I want to be a writer, please read my stuff. And Rilke says to this guy, don’t ask me about being a writer. If when you wake up in the morning you can think of nothing but writing, then you’re a writer. I happily call myself a writer. Are you? I love this post. I attempted to blog about my experiences as a graduate SLP student early last year, but there was somthing holding me back. I guess it was some kind of fear that what I was going to write wasn’t going to be specific, relevent or informed enough. It’s a nice idea to approach blogging simply as an outlet for your own thoughts and ideas, without worrying about what you are ‘supposed’ to do or building a following. What you have done with your blog is really inspiring! I’m definitely going to start writing again myself. This is an awesome post. I had a go at blogging about my own experiences as a graduate SLP student early last year. In the end I deleted the account as something was holding me back. I guess it was a feeling that what I was writing wouldn’t be relevant, specific or informed enough. 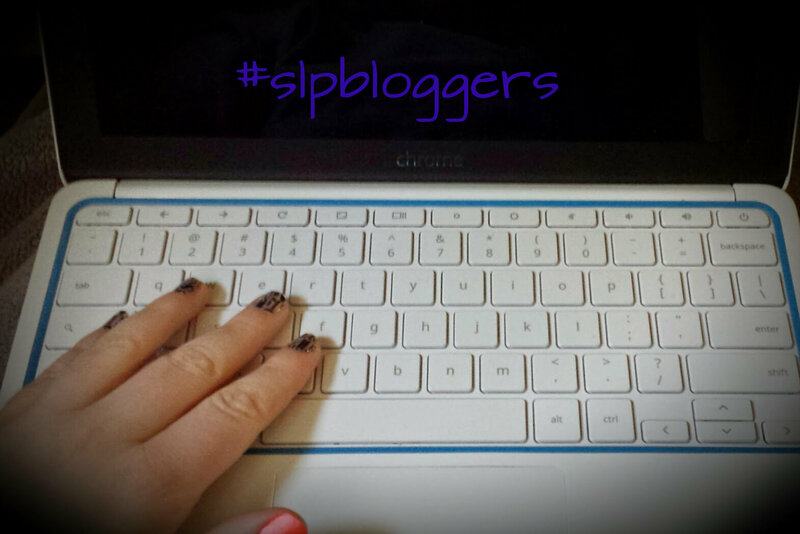 I love the idea of blogging as an outlet for your own thoughts and ideas as opposed to worrying about building a following or being worried about what you “should” be writing about as an SLP blogger. I’m definitely going to follow suit and start blogging again this year!